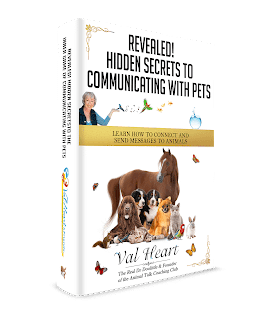 Personal Note from Val: Lisa Shultz had a life-changing experience when she connected with the magic of seeing the world through her dog, Sally’s eyes. 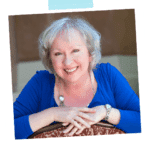 When she intentionally shifted from her limited human viewpoint and perspective, she discovered the depth of Sally’s love, her wisdom and a profound healing in a way that years of therapy had never done for her. Lisa shares her remarkable story in our interview. And her love for Sally and animals in her remarkable book. Enjoy! Lisa Shultz is a co-creator of the Speaking Your Truth anthology series of inspirational stories by women for women and co-author of the book, How to Bring Your Book to Life This Year. She loves supporting the aspiring writer to bring their dream of being a published author to reality. Her most recent book is entitled, Become an Athlete of the Mind. In this guidebook and journal, she shares how to create a 90-day program to train your mind using positive thoughts, affirmations, visualizations, and faith to attract what you want most in your life. Her book, Sally’s Journey, is a step outside her usual box of writing and coaching topics. She wanted to share her dog Sally’s interesting life as well as her own in the 14 years that Sally was with her. Writing a book from Sally’s eyes and voice was a healing journey for Lisa. She hopes that dog lovers will enjoy and be inspired by this glimpse into Sally and Lisa’s world as they experienced heartache, trauma, abuse and more in their lives together. Lisa says that there is healing power in sharing your story in some way. To write and share a story is not only healing to the author but it can touch readers in a way that makes us all feel more connected to each other as we journey through life. * What triggered Lisa’s desire to share Sally’s story and why that was important, healing and life changing for her? * When Lisa’s husband snapped and abused Sally physically, how did Lisa find a way to heal from that experience? * What did Lisa discover in the process of writing about her ex-husband from Sally’s eyes and viewpoint? * How did your daughters react to the book? * How can adopting a dog from a shelter or humane society be a gift? The beauty of a dogs perspective and unconditional love is a wonderful way to look at life. Thank you Val and Lisa for sharing Sally’s experience and positive impact in your lives. PS – I loved the book too!